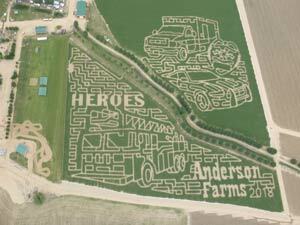 Colorado's Longest-Running 25-acre corn maze! 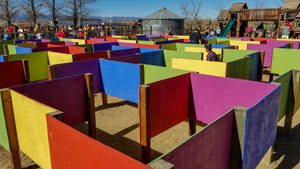 The maze is open day and night and is never haunted. Search through all three sections to find the checkpoints or wander aimlessly if that is your style. 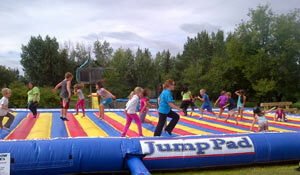 The Jump Pads at Anderson Farms are BRAND NEW! Check out the NEW for 2018 Page and see all of the new things we've added this year! 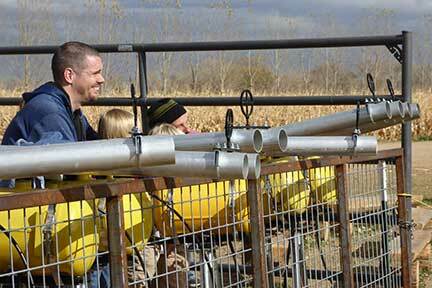 This attraction has moved to BIGGER, BETTER tracks located by the SW corner of the Corn Maze! 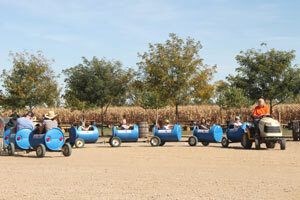 This attraction has moved to the SW corner of the Corn Maze. See how we moved it in a video on our NEW for 2018 page! 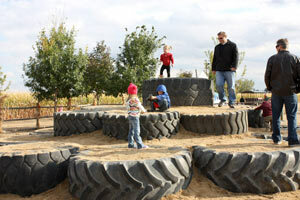 Head over to Kiddie Korral for a climbing adventure on the Tire Mountain! We've added a bridge, and slides! Prices vary $7.00 to $20.00 based on Gem Bag purchased. 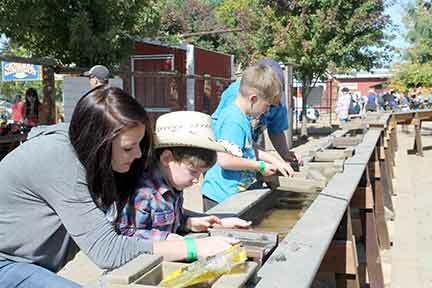 Discover the adventure of prospecting in an old west style mining sluice. Unearth oodles of fossils, gemstones and minerals. Show off your artistic skills by decorating your own pumpkin. 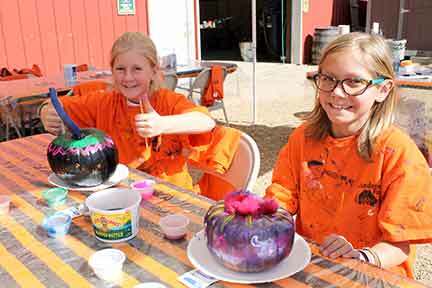 Our Paint A Pumpkin Junction has paint, markers, stencils, and tons of other materials to make your pumpkin unique! 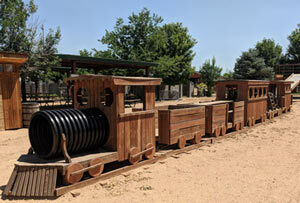 The last wagon of the day leaves at 5:30pm. 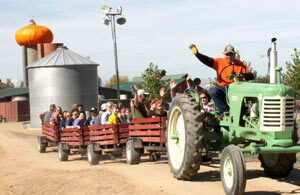 Take a ride out to the pumpkin patch on a wagon pulled by an antique Oliver tractor. We have pumpkins as far as the eye can see! 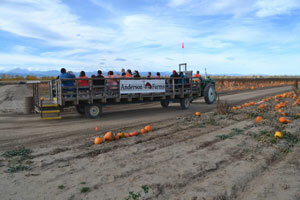 With 25 acres and over 70 varieties of pumpkins, squash and gourds you’ll be sure to find what you are looking for. 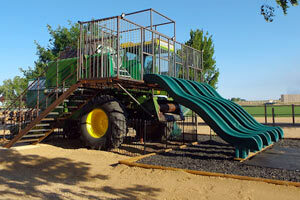 The Combine Slide at Anderson Farms is BRAND NEW! Check out the NEW for 2018 Page and see all of the new things we've added this year! The attraction has moved to the SW corner of the Corn Maze! 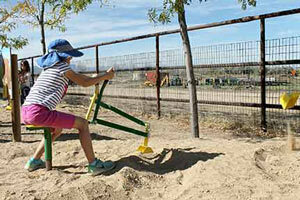 Come and see why it's called the 'Redneck Rollercoaster'! 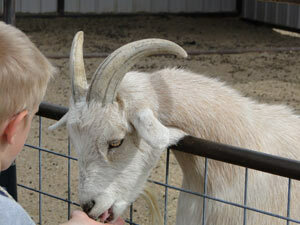 Kids always love feeling the tickle of the goat’s tongue as the pellets are licked from their hand. 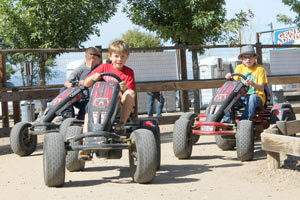 Visit the barnyard and meet our animals! Goats, alpacas, chickens, & ducks. You might even get to see a baby or two! A handful of pellets cost $0.25, but the experience is priceless. Hours of fun for kids of all ages! 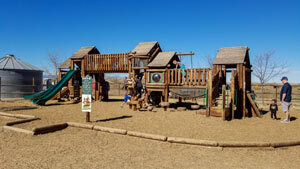 Open Sat and Sun from 10am - 5pm. Extra charges apply. Third party vendor. Hours and dates are subject to change. Whose duck will win? Old time water pumps powered by you will decide whose duck makes it to the finish line first! Win or lose, your Race Duck is going home with you! Located next to Zombie Paintball Hunt. 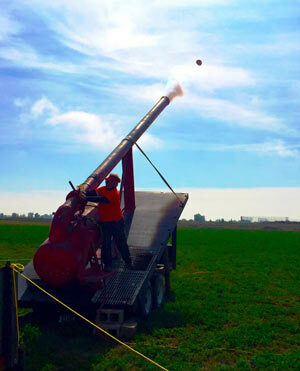 We've built a pressurized cannon that can hurl small pumpkins up to a 1/4 mile. Guaranteed to land with a satisfying splat. 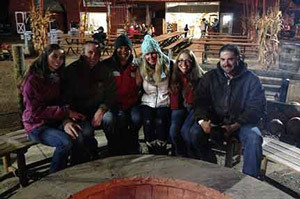 Cozy up to the fire with you best pals and enjoy the gooey goodness of the perfect s’more. 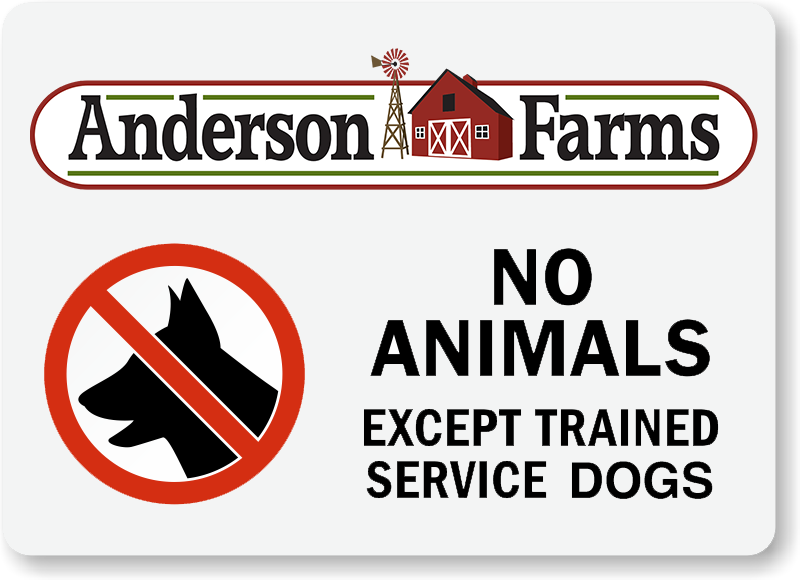 No outside food allowed on the pit. S'more fixings are available for purchase. Hours, dates & pricing are subject to change. Can you solve the mystery and escape these themed and detailed rooms in under 3 minutes?